So I’m going back to EASY. FAST. FABULOUS. Baked goodies that can double as gifts, are universally loved, and won’t kill me in the process! 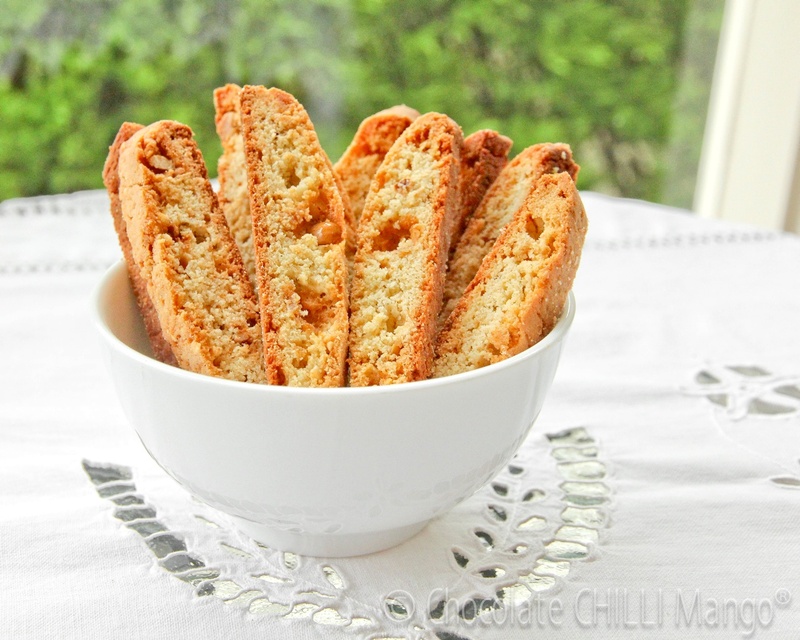 First up are these beautiful biscotti. I love biscotti. 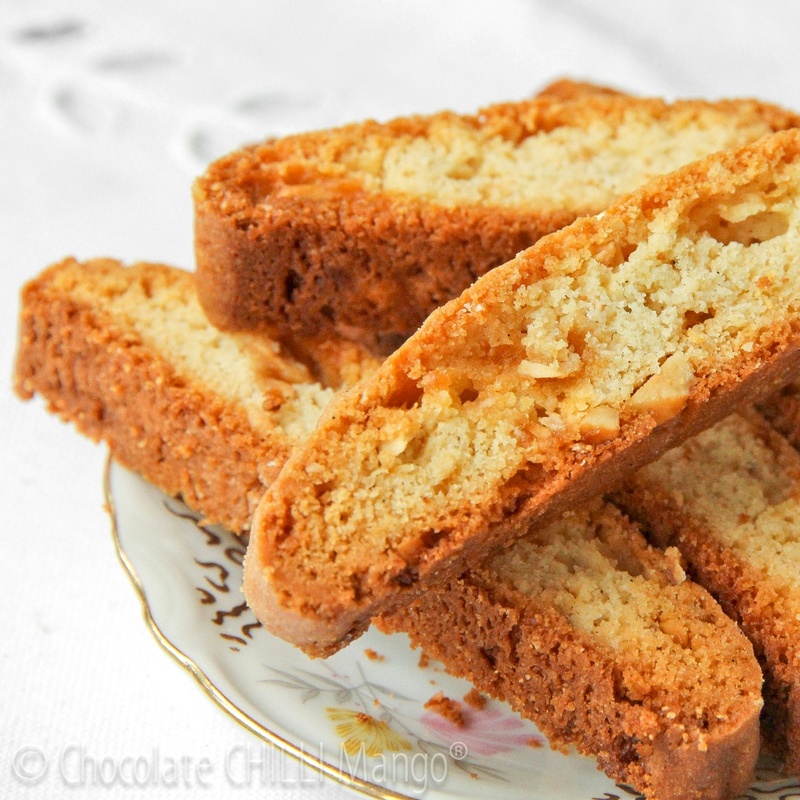 I’ve ALWAYS loved biscotti. 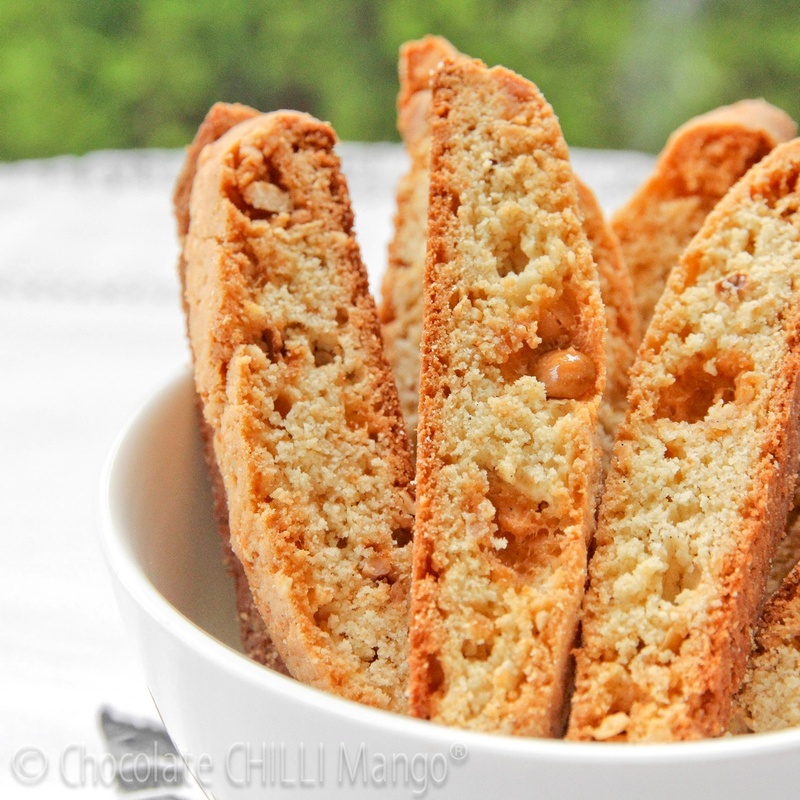 Does anyone remember when biscotti were all the rage? WOW. They have a lovely sweet honey, nutty, slightly gooey nougat crunchiness. Divine. 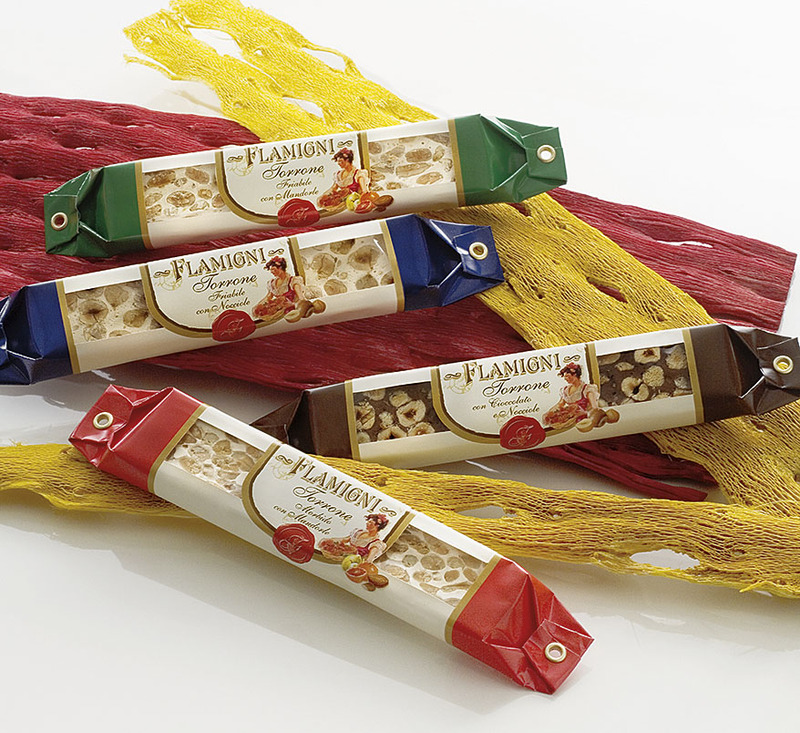 Perfect with an espresso or even a hot chocolate. Amazing served with gelato. Or go totally traditional and serve with a little Vin Santo. They make a lovely Christmas gift too. Place them in pretty glass jars or in clear cellophane bags, tied with ribbon. Voilà! Come to think of it, they make a lovely gift any time. Preheat the oven to 165℃. Line a large baking tray with non-stick baking paper or a large silpat sheet. In a large mixing bowl, beat the butter and sugar together until light and fluffy. Add the eggs, vanilla, and liqueur and beat until smooth. Mix together the almond meal, flour, baking powder, and salt. Add to the butter mixture and beat the dough until the dry ingredients are fully incorporated. Chop the torrone finely. You can do this by hand with a sharp knife, or in a food processor. If using a processor, use the pulse action so you don’t grind it too finely. It should not be powdered but you also don’t want large chunks. That said, some unevenness is a good thing as it adds texture. With floured hands, scooped the dough out on to a lightly floured board. Divide into two even portions. Roll each into a log. Transfer to the baking sheet and shape each in to a log about 36cm x 4cm, leaving space between the two as they will rise and spread as they bake. Bake for about 25 – 30 mins until golden. You may need to rotate the tray halfway during baking to insure even browning. Remove from the oven and place the tray on a wire rack. Let the logs cool for about 5 mins. Using a sharp serrated knife, cut each log diagonally into slices about 1 1/4 cm in width. Transfer to the baking tray standing up. It is OK if they are fairly close together but allow a little room for air to circulate. Bake for a further 10 minutes or so. Remove from the oven. Let cool on a wire rack. They will crisp up a little more as they cool. They keep well, stored in an airtight container, in a cool, dry spot.